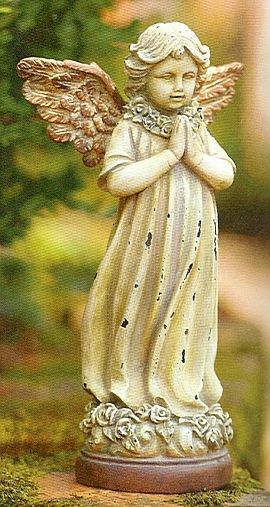 Made of sweetness, she is surely a delightful angel girl for the garden. Her hands are clasped in prayer and her eyes speak of kindness. Our little angel girl is made of resin and comes beautifully hand finished.